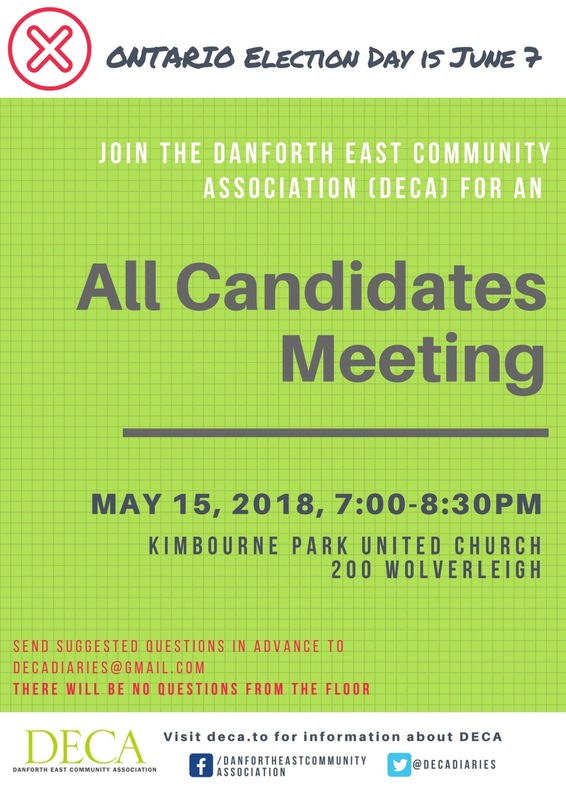 DECA has invited these four candidates to participate in an all candidates meeting on Tuesday, May 15 from 7:00-8:30pm at Kimbourne Park United Church, 200 Wolverleigh. So far, three candidates have confirmed (still waiting on the last) so we know it will be an informative evening. Candidates have been invited to stay afterward for a brief chance to chat with people after the Q&As. We are very grateful that David Rider from the Toronto Star will be moderating. We look forward to hearing from you and see you on May 15!